Customer demands are evolving and they aim towards seamless shopping experience. They may check out a product on their mobile or in-store . Regardless whether the customer is at the checkout line or in market, and the device which he/she is using a business technology model should present right time information at the right time to make intelligent purchase decisions.Commerce now has to be about providing a unified customer experience. This called for a cloud solution that could build engagement through mobility/retail and bridge the gap between digital customer experiences on e-commerce sites and physical customer experience in the stores. And Salesforce Commerce Cloud is the one stop solution. Salesforce launched Commerce Cloud, post it’s acquisition of Demandware. It is a cloud-based software solution for unifying the way businesses engage with customers over any channel or device. 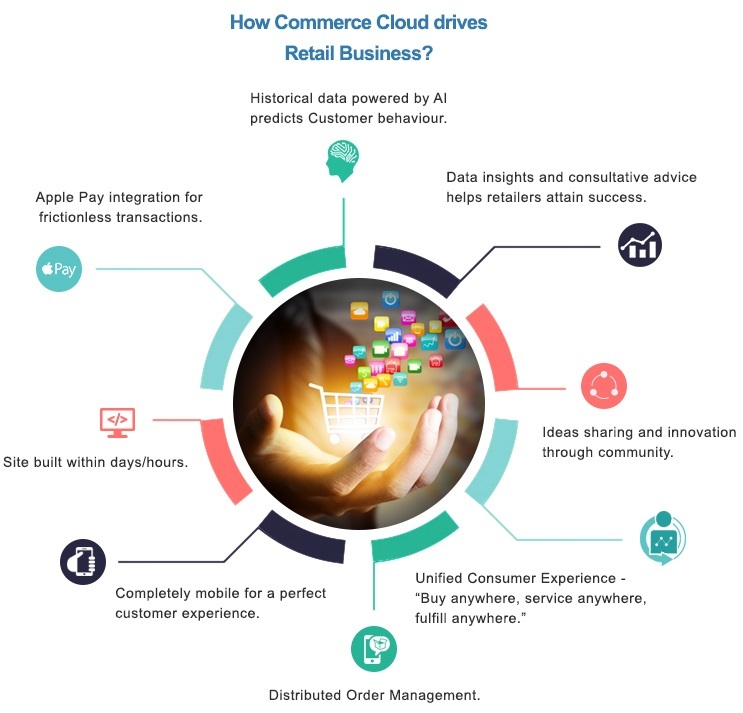 Being a leading scalable & agile ecommerce platform Salesforce Commerce Cloud enables retail brands to transform the way they connect with their customers at every step of their purchasing journey. 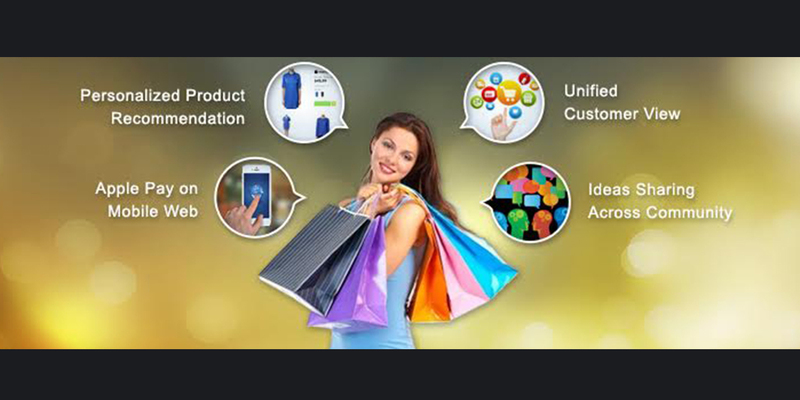 It also helps deliver personalized shopping experience with built-in predictive intelligence. How it’s a perfect fit for the Retail Industry !! Integrated with sales, service, marketing, analytics and IoT clouds, it enables retailers to leverage all the capability to engage with customers in whole new ways. For example, Marketing Cloud drives shoppers to points of commerce, and Service Cloud provides service to consumers before, during and after a sale. Enabled with the Salesforce Commerce Cloud, brands across various industries can now make the entire customer experience smarter, more personal, and more engaging.